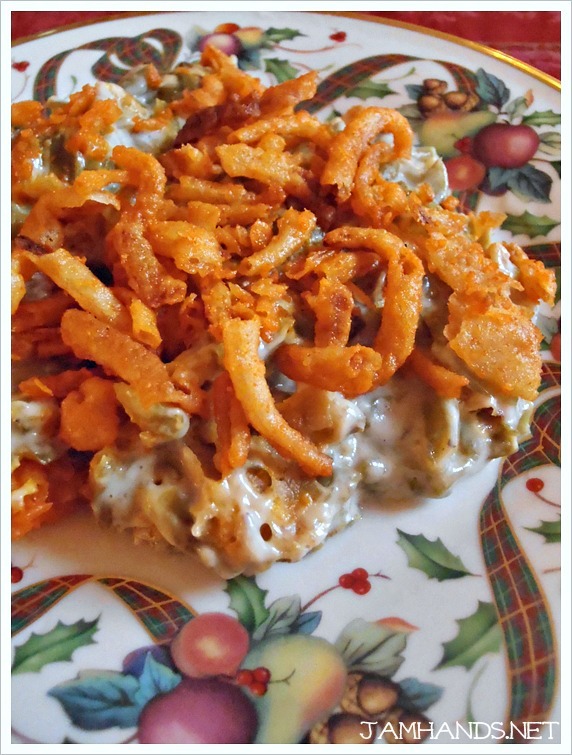 Green Bean Casserole, canned soup and all, is a side dish both loved and hated. I love it, as does my family. With a few small tweaks we made our best version yet this Thanksgiving. 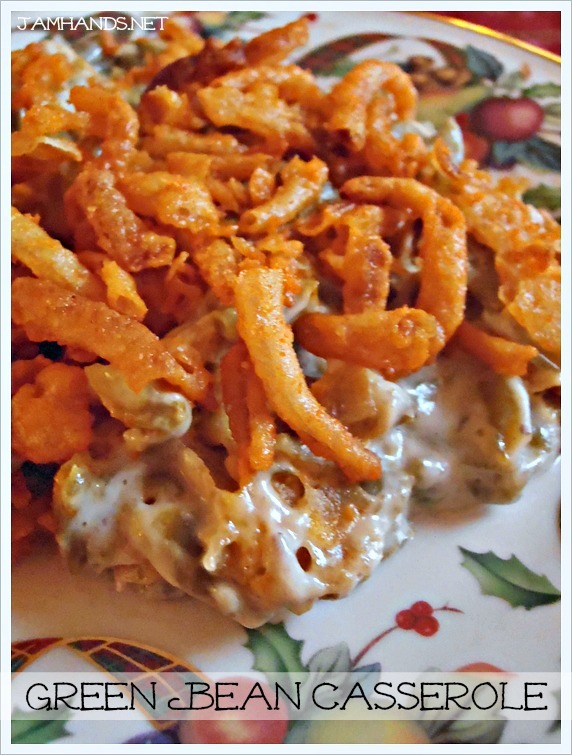 One change was accidental, using cheddar french fried onions instead of plain. Sauteed mushrooms were also added in for extra flavor and texture. It may seem like a silly thing to mention but I think using the French cut style of green beans is important to the texture of the casserole. Enjoy! 1. Preheat oven to 350-f degrees. In a large bowl combine the green beans, mushroom soup and Worcestershire sauce. Mix well. Set aside. 2. Add the butter to a saute pan and cook the mushrooms down until they have released most of their liquids and have browned a bit. Add to green bean mixture. Add half of the can of fried onions to the mixture and stir. 3. Lightly spray a medium casserole dish with cooking spray. Add the green bean mixture. Bake for 30-40 minutes, until bubbling hot. Add the remaining fried onions and bake 5 minutes. Remove from oven and serve.